These Booking Conditions form the basis of your contract with us so please read them carefully. Nothing in these Booking Conditions affects your normal statutory rights. Receipt of any monies and/or booking forms constitutes acceptance of all current booking conditions. Your booking is made as a consumer for the purpose of a holiday and you acknowledge that no liability can be accepted for any business losses howsoever suffered or incurred by you. Once the Initial Deposit has been received and accepted by us, we will issue you with our written confirmation by email. The contract between us will only be formed when we send you our written confirmation, all online bookings are provisional until you receive written confirmation and is subject to these terms and conditions. We reserve the right to refuse any booking prior to the issue of our written confirmation. Connemara Lettings will check the availability of the property, if a deposit has been paid and the property is not available Connemara Lettings will try and find alternative accommodation or promptly refund any money you have paid to us. 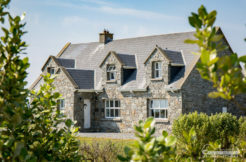 Connemara Lettings arrange bookings of holiday accommodation as agents only on behalf of the owner. The contract entered into is between the owner of the holiday accommodation and the holidaymaker. The contract is effective once payment has been received from the hirer. You are required to send to us your payment for the balance of the Rental at least eight weeks prior to the Arrival Date as set out in our written confirmation (or if your booking has been reserved within 8 weeks of arrival your full payment is required). You will receive a reminder by email for the balance upto 10 weeks prior to your arrival. If you do not have an email address we will telephone. If you fail to make a payment due to us in full and on time we may treat your booking as cancelled by you. A security deposit is required at all properties. Payment is made either by cash or pre-authorisation on your credit card – the agreed payment will be stated on the Property profile. This is held against damage, breakage and loss and is refunded, less any valid charges. Where damage or loss exceeds the security deposit the balance will be debited to your credit card or payment will be due on departure in cash. At some holiday homes heating and electricity are deducted from the security deposit. Guests are requested to leave self-catering properties clean on departure – otherwise a final cleaning charge will be requested or deducted from the security deposit. Any damage or loss that is not made good before departure will be debited to your credit card or deducted from the cash provided upon arrival. Connemara Lettings does not always control the security deposit therefore any dispute about damage and/or refunds must therefore be addressed to the appropriate person. Damages and breakages must be reported to us immediately. It is vital that we are able to undertake investigation and carry out corrective action where possible. If your booking is made through a third party an administration charge may be added to the published rate. We reserve the right to alter rates, they are subject to change. We will advise you of the current rate at the time that you confirm your booking, which will also over-ride any prior verbal or emailed quotes given by us. If you need to cancel or amend your booking you must telephone us on the number shown on our written confirmation as soon as possible. You will also be required to confirm your cancellation in writing or by email to the addresses shown on our written confirmation. A cancellation will not take effect until we receive written confirmation from you. We strongly advise that all customers take out travel insurance to cover any costs associated with cancellation charges. Booking Protect provides a refund guarantee which enables the customer to receive a refund in specified unforeseen circumstances. In the event that you wish to cancel your reservation at any time or for any reason Connemara Lettings will retain the initial booking deposit and booking fee. If you cancel your reservation less than eight weeks prior to the Arrival Date, we will retain the Initial Deposit, booking fee and the full rental paid. If you cancel your booking more than eight weeks prior to the Arrival Date, we will retain the Initial Deposit and booking fee however we will refund any other monies paid. If you need to change the dates or number of people on your booking, you can send an email or call our office direct, if the dates are available we will send you a revised quote outlining the amended dates and price increase / decrease or rate remaining the same. If you have paid the full balance and the new rate is higher, Connemara Lettings will forward the amended statement to pay the difference. If the new rate is lower than the original amount, we will issue you a refund for the difference once you have accepted the booking change. This is an administration fee of €25.00 to make any amendments. We would not expect to have to make any changes to your booking, but sometimes problems occur and we do have to make alterations or, very occasionally cancel bookings. If this does happen, we will contact you as soon as possible and inform you of the cancellation or the change to your booking and, if it is necessary to cancel your booking, we will try to find you alternative accommodation if we are not successful we will refund the balance of any money you have paid us. To give the cleaning staff adequate time to prepare the property, check-out time is strictly 10.00am on departure day. Check-in is between 16.00 and 18.00pm. It is important that you give us advance notice if you wish to arrive after 18.00pm. If you are delayed or unable to check-in between 16:00 and 18:00pm it is essential that you notify the contact person whose details are given on our booking confirmation so that alternative arrangements can be made. If you fail to do so you may not be able to gain access to the Property. If you fail to arrive by midday on the day after the Arrival Date and you do not advise the contact of your anticipated late arrival we may treat the booking as having been cancelled by you. You agree to comply with the Regulations that are outlined in each property manual and any other regulations reasonably made from time to time and ensure that they are observed by all members of your party. You agree to keep and leave the Property and the furnishings, kitchen equipment, crockery, glasses, bedding & towels clean and in good condition. You agree not to cause any damage to the walls, doors or windows of the Property nor to do anything that may be reasonably considered to cause a nuisance or annoyance to us or to any other occupier of adjoining or neighbouring properties. You agree to take all necessary steps to safeguard your personal property. You cannot allow more people to stay in the Property than expressly authorised, nor can you significantly change the makeup of the party during your stay in the Property, nor can you take your pet into the Property unless it has been arranged in advance and it is shown on your confirmation. If you do so, we can refuse to hand over the Property to you, or can require you to leave it. We will treat any of these circumstances as a cancellation of the booking by you and no money will be refunded. You agree to allow us or any representative of ours access at any reasonable time during your stay for the purpose of essential repairs. In the unlikely event of a complaint, it should be brought to the attention of the site-manger or owner immediately. Failing a satisfactory solution you can contact Connemara Lettings Customer Service Manager by telephone or email during office hours 9.30am to 5pm Monday to Friday. Connemara Lettings cannot resolve an issue with a property if they are not aware of the issue. Complaints must be received prior to departure otherwise Connemara Lettings will not intervene in the dispute. Personal belongings are at holidaymakers risk at all times. 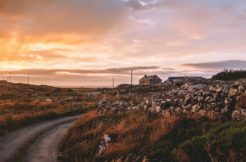 While Connemara Lettings takes great care in the editing of property descriptions, changes take place from time to time and such changes are beyond our control. The information contained on this website may contain technical inaccuracies and typographical and other errors. The information on these pages may be updated from time to time and may at times be out of date. We have the right to change the prices of the holiday arrangements featured or mentioned on this website at any time without prior notice. If any price is obviously incorrect, we will not be bound by it. We accept no responsibility for keeping the information on these pages up to date or liability for failure to do so. You must ensure you check all details of the chosen holiday or travel arrangements (including the price) with us by telephone or other approved means at the time of booking. We advise you to double check amenities, facilities, utilities and other details prior to making a reservation. Locations and distances mentioned on this site are approximate. 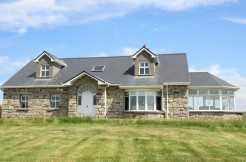 Where wireless Broadband is available in the property, Connemara Lettings and the owner cannot be held responsible for connectivity problems, loss of internet service or any other problems resulting from the use of the broadband service including pay-as-you-go dongles. Pets are only acceptable in properties that have the symbol ‘Pet Friendly’. We must be informed if you are bringing your pet/s with you and at no time are pets to be left unattended in any property or be allowed in any bedrooms. You must also clean up after your pet/s both inside and outside of the property. Pets are not allowed in bedrooms and/or on furniture. Some properties apply a surcharge for pets. The holiday maker is liable for all damage caused by a his or her pet(s). Customers that have allergies to pets should be aware that Connemara Lettings cannot guarantee or be held responsible if an assistance dog has not stayed in the holiday home prior to their visit. The owner of the holiday home has the right to levy any additional charge for any extra cleaning required after the customers stay.